Brand Gunnebo India (P) Ltd.
Gunnebo FB 1785 KL the product under consideration is one of our globally successful model, and is currently being marketed across the world in Europe, Americas, Africa, Australia and Asia. 1. Protects paper records like land records, ledgers & other documents from fire. 2. Double wall 'Tongue & Grove' construction. 3. Fire & impact resistant. 4. Strong bolt work mechanism controlled by a 6 lever dual contral key lock. 6. Optional - Extra Shelves, Lockers, drawers, pull out trays & shelves. Manufactured From Gunnebo India (P) Ltd.
2 in 1 Safe is designed to protect cash, valuables, record & important documents. Double wall safe with a specially formulated barrier material to resist from burglary & fire. Ideal for Non Banking Finance Companies, Micro Finance Companies, Builders, Corporates & Trust. 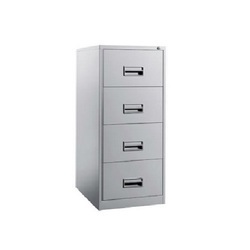 An interlocking system is standard and provides the ability tocontrol access to individual drawers. 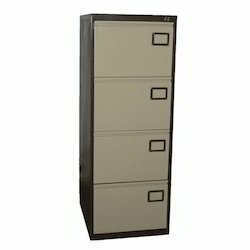 Being one of the renowned firms in the industry, we are decidedly involved in providing a high-quality array of Fire Resistant Filing Cabinet. Looking for Fire Resistant Safes & Cabinets ?